First and foremost, donate the kitchen gadgets you haven’t used in the past year. Chances are that if you haven’t used them in the past year, you will not use them this year. This means the dusty waffle maker, corn peeler, all the wooden spoons you don’t use (because you likely only use the same few), and all those coffee mugs you’ve collected over the years. Check all your kitchen drawers and cabinets and make sure you’re not storing things in the kitchen that don’t belong there. 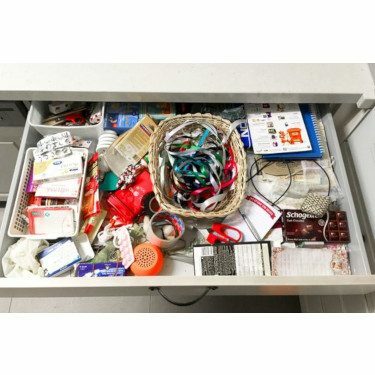 The kitchen tends to collect all your miscellaneous items, like mail, keys, pens, scrap paper, etc. 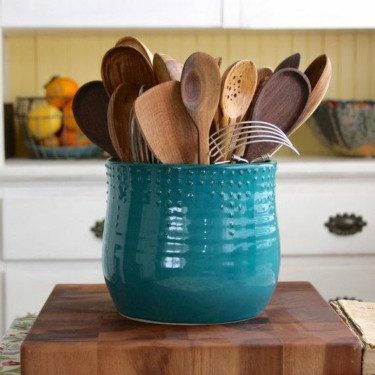 Find a different place in the house that can store these things. You’ll begin to see the clutter gradually disappear. When we say home, we don’t mean the corner on the kitchen counter next to the microwave. 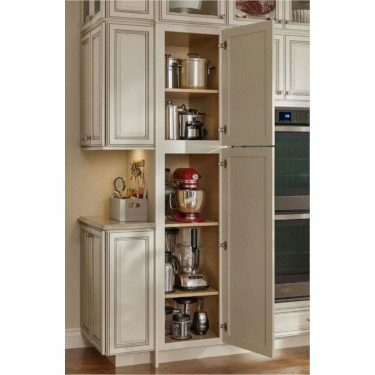 Find a cupboard or closet to store your appliances, so you can finally have that counter space you’ve always dreamed. 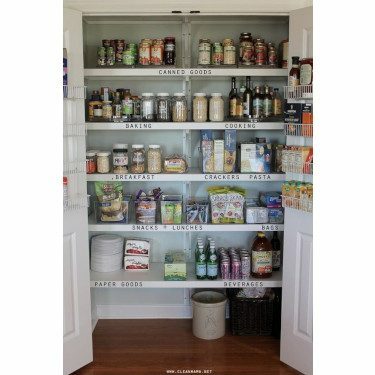 When was the last time you reevaluated every single thing in your pantry, including all the spices and can goods? Organize your spices and throw out the expired ones. If you find can goods that you know you won’t use, donate them to your local food bank. Store your dry foods, like pasta, cereal, cookies, crackers, etc. in glass containers for easy storage and accessibility. 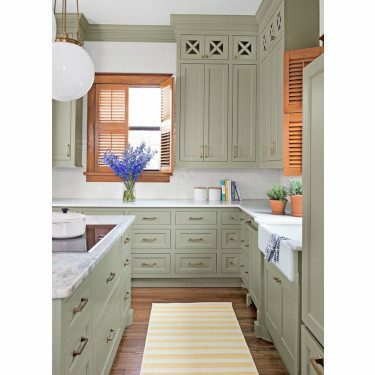 If you really want to start from scratch, repaint your kitchen. 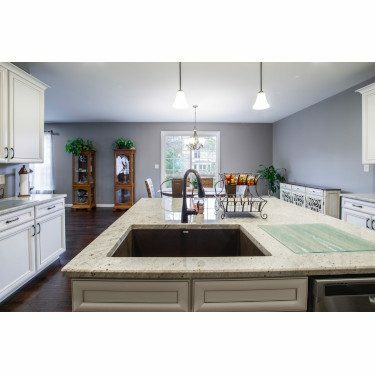 More neutral tones, like beige, grey, white, and sage opens up and brightens the kitchen while adding more a simplistic yet polished look.